But the university denies there is a “sufficiency of evidence” to support the group’s claims. Members of the group Feminists United at the University of Mary Washington filed the lawsuit against the university and its former president Richard Hurley on May 4. The plaintiffs allege that the university violated Title IX and the 14th Amendment when they did not take sufficient action against offensive speech by male students at the university. Most of the speech occurred on the social media app Yik Yak, where users could post anonymous messages (known as “yaks”) to others in their geographical area. The lawsuit classifies many of these messages as “overtly sexist and/or threatening,” and Feminists United claims that by not shutting down Yik Yak on school Wi-Fi, the university fostered a sexually hostile environment, failing to “protect the Plaintiffs from [the] effects” of the offensive yaks. The lawsuit alleges that Mary Washington exhibited “deliberate indifference” to the “sexually hostile environment” created by the yaks. “Deliberate indifference” is potentially actionable under Title IX. 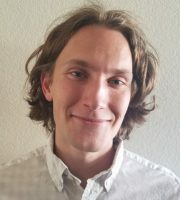 These claims are disputed by both the university and the Foundation for Individual Rights in Education (FIRE), a nonprofit campus civil liberties group. And a FIRE representative points out that none of the yaks cited in the suit constitutes a threat under Title IX provisions. In contrast, most of the yaks involved “derogatory remarks or even invitations for students to engage in debate with members of Feminists United,” according to FIRE program director Susan Kruth. The lawsuit also cites an incident in December 2014 wherein campus administrators were provided with an audio recording of a “misogynistic chant” by the school’s rugby team. “No immediate action was taken by the University,” the lawsuit claims. The chant, however, was “constitutionally protected,” as it “did not contain threats to any groups or individuals, was not an incitement to imminent lawless action, and did not rise to the level of punishable harassment,” according to Kruth. When contacted about the role and limits of free speech on campus, Feminists United co-president Hannah Wiers stated she passed The Fix’s inquiry on to Feminist Majority Foundation representative Kelli Musick. Musick never responded to The Fix, however, and Wiers did not respond to further inquiries. As a response to the suit, the University of Mary Washington has taken several “proactive initiatives,” including hiring a Title IX investigator and “requiring Title IX/sexual violence training for all faculty, staff, and students,” according to Billingsley. 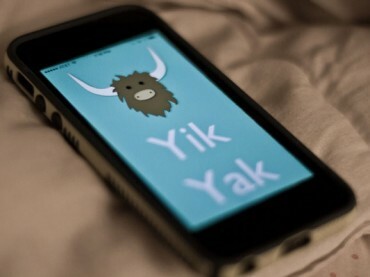 Yik Yak, which has been accused for several years of facilitating online anonymous harassment among students, recently announced it was shutting down the app. A report in USA Today cites “management miscues, fickle users and school bans” as the reasons.